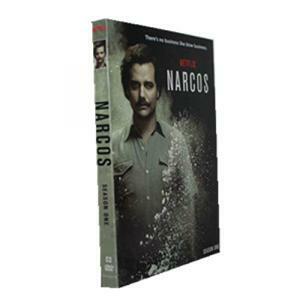 Narcos Season 1: Story focuses on Colombian drug Lord Pablo Escoba, by Wagner Moura cast in the role. Played in the game of thrones, "red snake" Mr BaiLun horse, Pedro Pascal will star in a Mexican drug enforcement agents. Wagner Moura play a major role in the play Pablo Escobar. He is in the rift of members of congress, the Mafia in medellin gang gang leader, a notorious terrorists. He is a family-centered man on the surface, and often does something working to improve its image, so by the poor as "a new era of Robin Hood". 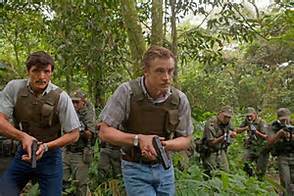 Boyd Holbrook play West Virginia drug enforcement agents Steve Murphy Pedro Pascal play Mexican drug enforcement agents Javier Pena, together with them in the secret order of the U.S. government to Colombia capture and kill the big Escobar. Steve Murphy and Javier Pena this two characters are fictional, but Pablo Escobar story is true (time about in the late 1980 s and early 90 s). Makes a play national total warden Eduardo Cardona Mendoza, baby-faced, he has no experience, good heart, full of idealism, like a baby boomer.. Narcos season 1 DVD box set is hot! One of my all time favorite shows! Fast Delivery and Nice Service.